Explore Cultures All Over the World In One Bite. Today, Chef One’s production continues to expand to meet the growing needs of our business, restaurant, and consumer clients. Armed with greater resources, our Asian food wholesale is now available throughout the US and internationally. Chef One’s founding principle speaks to EVERYONE: the bustling restaurant, the high-volume food service business, and the individual preparing meals for the family. Our exciting flavors and easy preparation brings out the chef in everyone! 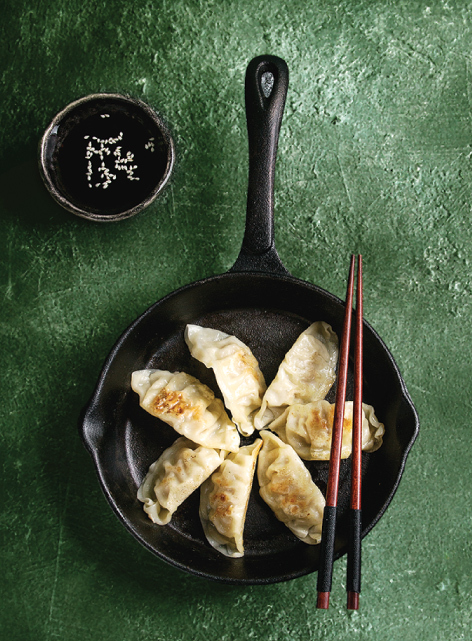 When we first began perfecting our dumplings and rolls, we knew how imperative it was to develop authentic flavors. But, how can a chef create that sense of authenticity in their own dishes? We answered that question by developing all our recipes through a fusion of cultural spices, seasonings, and ingredients. Chefs tell stories through their dishes, so we want to give everyone who buys our cuisine the chance to share and create their own story. Today, Chef One has not only become one of the most well-known frozen food suppliers for restaurants, but an industry trusted name offering only the best Asian wholesale food. Rolls and appetizers that are inspired by culinary diversity from around the world. Our core belief is that there is a chef in everyone, and with Chef One productsasy and the flavor never fails to inspire. After over 20 years operating in Brooklyn, the borough whose counter-culture and vibrant food and arts scene have defined the hipster lifestyle, Chef One has decided to embrace the culture of this neighborhood. We partnered with Graffiti USA to decorate the front side of our building with some appetizing art. On 9/20/2016, which was less than a week before National Dumping Day, the Fox News did a segment of our Bushwick factory. The two minute segment covered the history of dumplings, the amount of dumplings our machines produce in an hour and a quick tutorial on how to wrap your own.